oversized minecraft map | Surviving Minecraft, Minecraft Adventures! 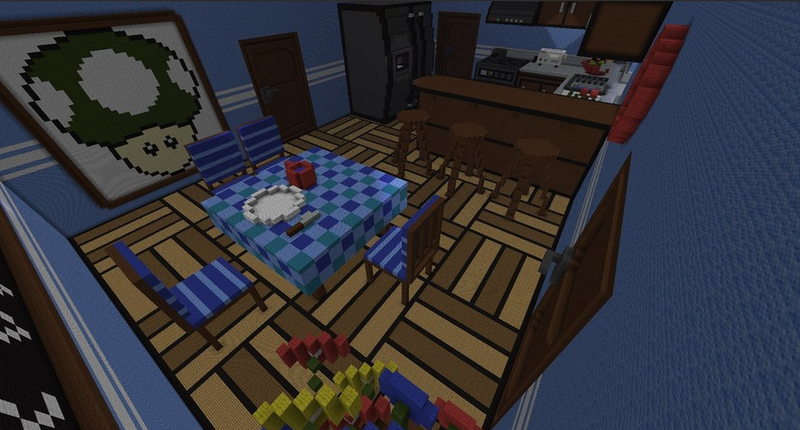 Are you ready to explore a minecraft house built to real world scale? Not just one or two oversized minecraft rooms, but an entire house to explore? If so, this is definitely a map you’ll want to download. With several bedrooms, a living area, kitchen and semi-functional bathroom complete with minecraft toilet, this is a minecraft house you could really live in. Click here to read more and download this life size minecraft house! This entry was posted in Minecraft World Save Files and tagged life size minecraft, oversized minecraft map on March 27, 2013 by Hope. Along the lines of the famous Ant Farm Survival comes a new kind of minecraft adventure map, one set in an oversized office. This map will make you climb your desk lamp, leap through the innards of your hard drive in a super scale super small massive minecraft adventure. Get your tiny self into a big world of minecraft adventure! This entry was posted in Adventure Maps, Minecraft Parkour Maps and tagged big minecraft adventure map, minecraft parkour adventure, minecraft shrunken map, oversized minecraft map on January 21, 2013 by Hope.